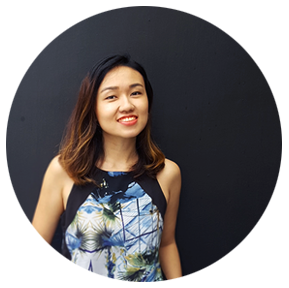 About 3 years ago, I opened a clothing shop and I've been inspired since then with great fabric prints. I already shut it down, but it had left me with fabrics to work with, most are only a few yards per print. 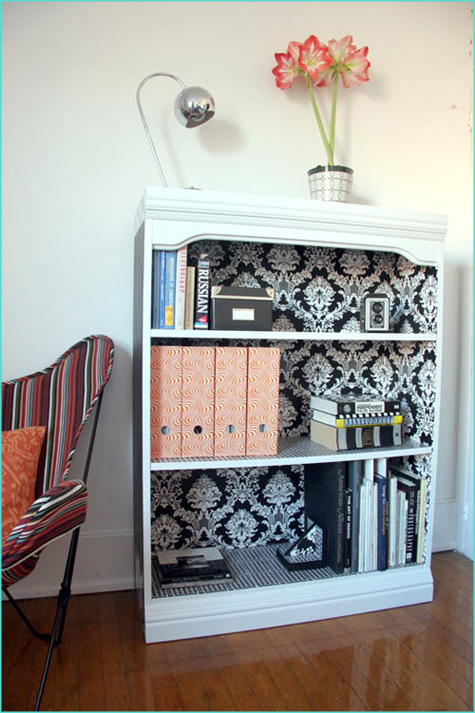 It got me thinking on how I can use them in our current home makeover, where re-purposing old stuff is the go-to decor! This is kinda of a given, but with a good reason, its easy and it really is pretty. 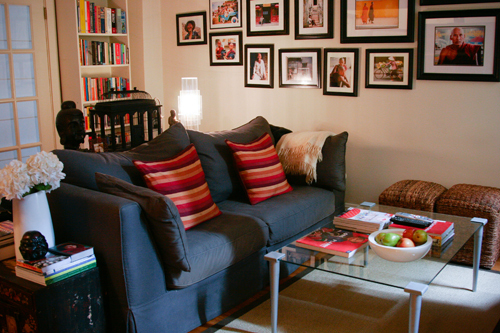 Throw pillows changes the whole feel of your living room. Sometimes, an old sofa just needs a good dose of fun pillows to bring it back to life. Isn't it just lovely? I wouldn't have thought of that, but now, thanks to Nichole, I'll be doing it to our massive dining table. (okay fine, it's not really that massive, but the thought of decoupaging it make it feel like it) Head over here for a full tutorial. 4. 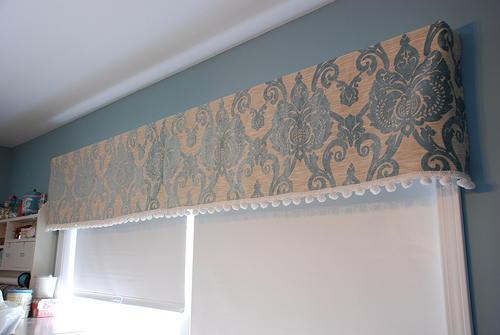 Make a window valance. I would have said drapery or curtain, but we're talking about left-overs here. So a valance would do the trick. 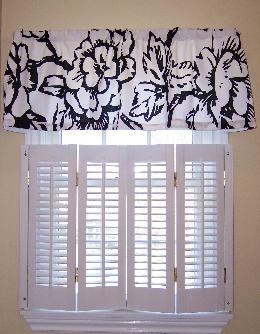 It can dress up those ugly blinds, or give an extra oomph to that simple shade. 5. Dress those bare walls. 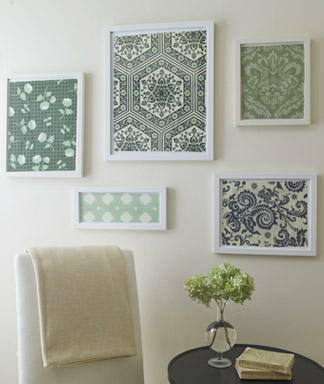 Fabric wall art is so easy there's no reason to leave a blank lonely wall alone. 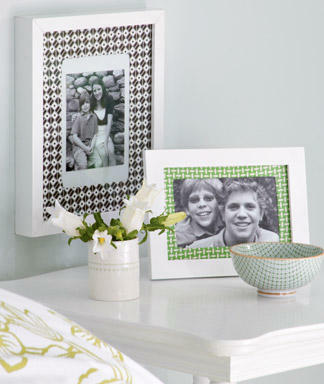 Glue it to a piece of foam, or simply frame it. 6. Make way for pretty memo boards. 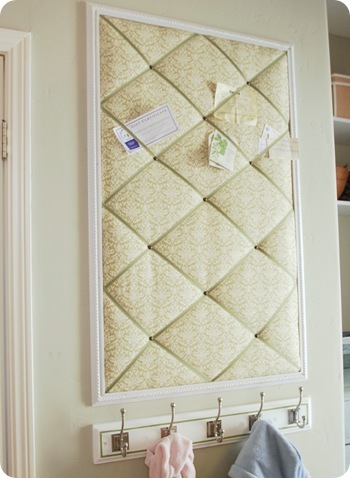 Plain old cork boards is ancient history. 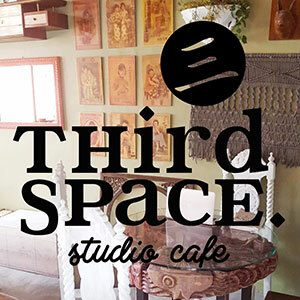 Now we can see beautiful memo boards everywhere. 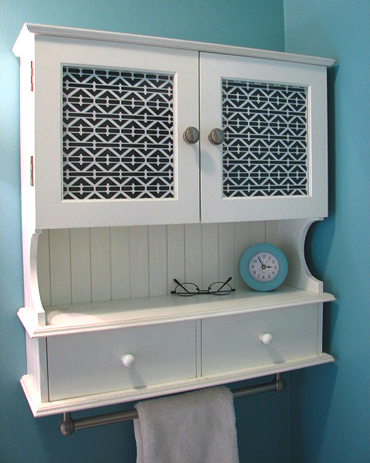 Check out Centsational Girl's tutorials on boards she's done in the past here, here, and here. She is inspiring! 7. Use it as a picture frame mat. 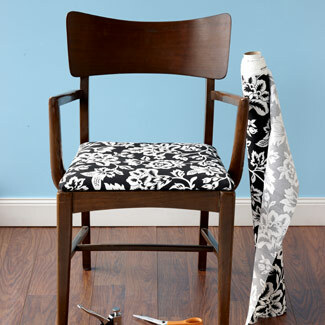 You can actually do this using left-over's left-over fabrics! 8. 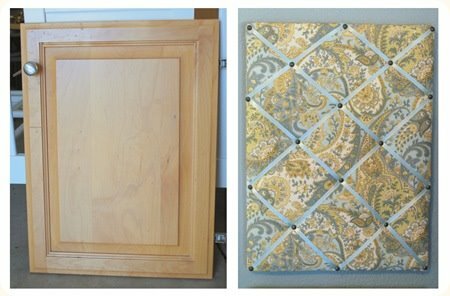 Try a tray makeover. Line that shelf to act as the perfect backdrop for your books and displays. 11. 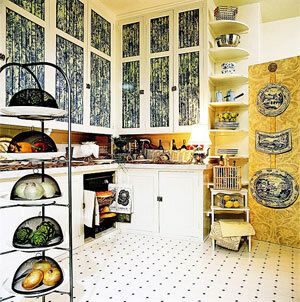 Cover that glass cabinet doors. 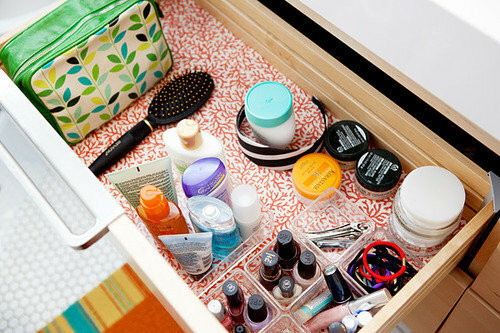 Glass doors are pretty, but sometimes it gets so messy we just want to hide all that crap. 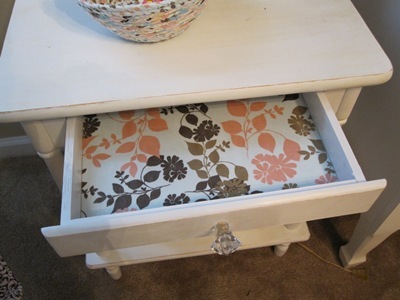 That's where the left-over fabrics come to place, use it to cover the glass doors for instant face lift! 12. 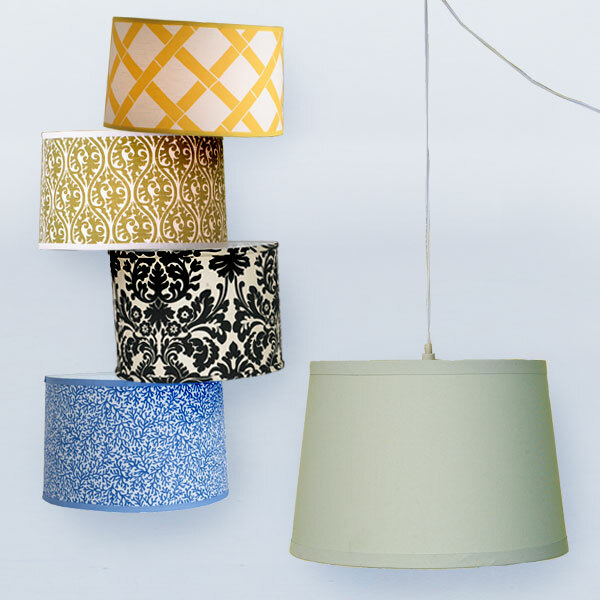 A new shade for a lamp shade. Cover your ordinary shade, add a trim, and you're all set. 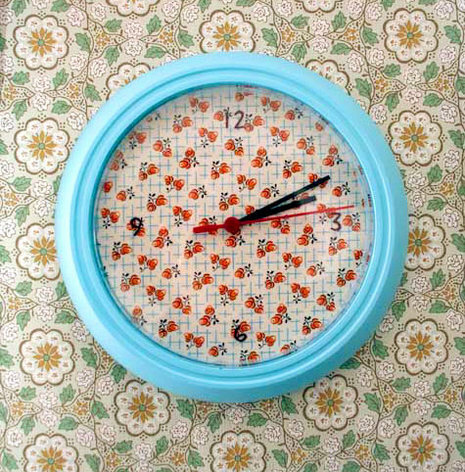 We all have one of those generic looking clocks, so here's a great idea to a more personalized time-teller. Lovely huh? Full tutorial here at Design*Sponge. So that's my 13 ideas for the tackle-our-piles-of-left-over-fabrics project. Do you have other ideas? I'd love to hear! What a great post! I'm getting lots of ideas! 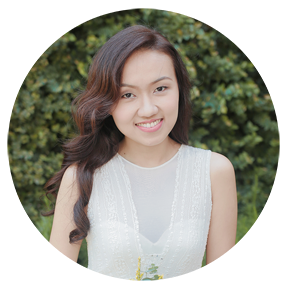 LOVE LOVE YOUR BLOG ! You did an amazing job with the bathroom ! Ha ! 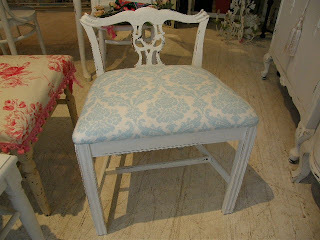 Such great ideas...a great fabric adds such a punch to any room!! Ah, so much inspiration. I definitely intend to use fabric for lining things and chairs very soon! Way to go tracking all these ideas, you just inspired me with some things. Thanks girl. 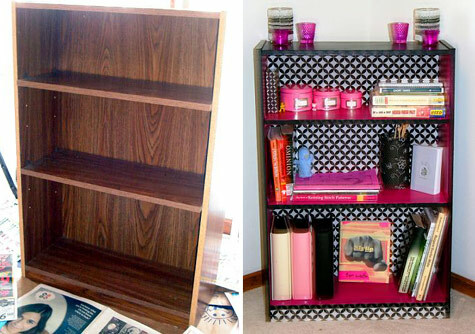 love the bookcase but what do you use to keep the material on? staple, glue? 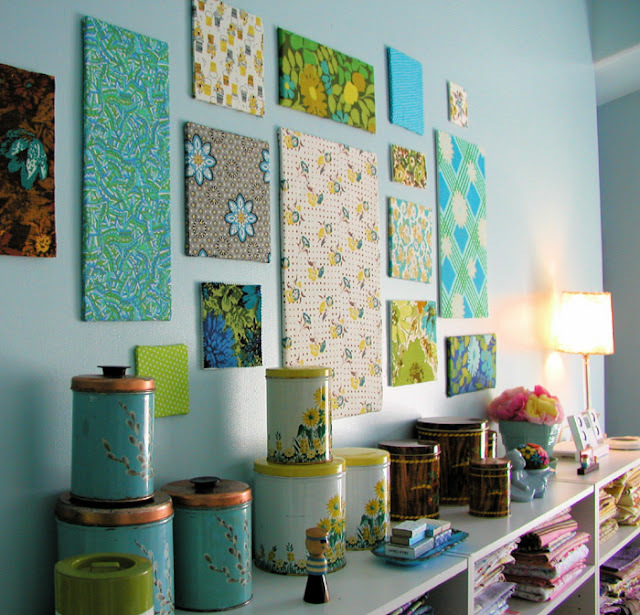 Ive got lots of fabric from the 50s....so im gonna make these wall art things for my bedroom...thank you SO much for all the ideas!!!!! Thinking about redoing my room. Hey Elle, your guide gave me plenty ideas about redecorating my room, thanks ! !